Working for Academic Solutions for the last 8 years has been a great experience. They always find me local work and the staff are very approachable. They always go the extra mile to make me feel a valued employee of theirs. I would highly recommend them. "WE CARE ABOUT WHAT WE DO". 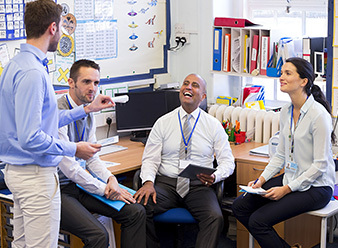 Our professional, but friendly recruitment consultants ensure that our teaching staff are provided with the most appropriate assignments based on their individual skills. This ensures that both the client and teacher are delighted with our service. Each teacher is assigned their own consultant who is there to offer all the support and advice they will need.